CKN Chatter: Canadian Champ Callum Baxter talks about his FWT Rok Cup debut – CKN | CanadianKartingNews.com | Because Karting is a way of Life! Over the past few seasons, we haven’t seen too many drivers transition from the very popular Briggs 206 program upwards to two-cycle competition, whether it be Rotax Max or the new Rok Cup engines. It just seems that most drivers decide early on which direction they want to go and as the years go by, they stick to. This cannot be said about Nova Scotia’s Callum Baxter. A two-time ASN Canadian National Champion, first in Briggs Cadet (2017) and then in Briggs Junior Lite (2018), Baxter has progressed up the karting ladder over the past few seasons, and over the winter he has taken the next step in his motorsports journey. 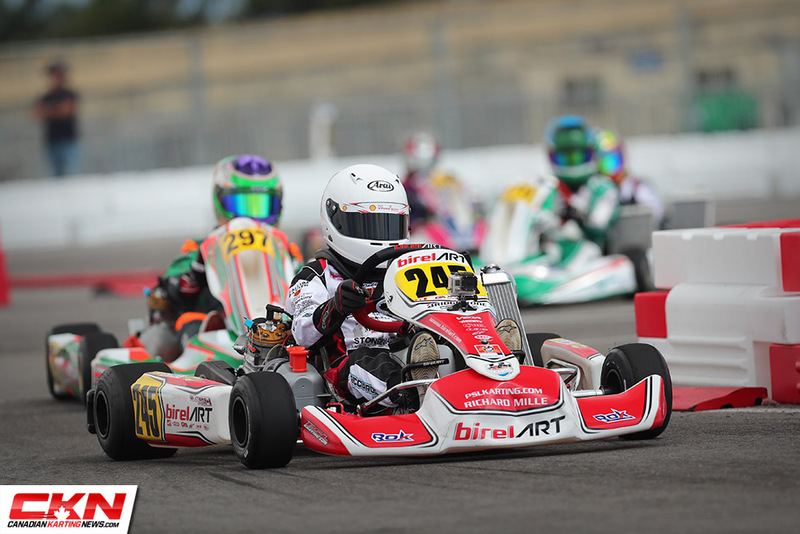 Baxter recently competed in the first two rounds of Rok Cup Florida Winter Tour, both in Miami. First, he competed in the Briggs 206 showcase at round one and when the class wasn’t offered for round two, he chose to make his debut in Rok Junior on the challenging temporary circuit laid out in the parking lot of the Hard Rock Stadium. Baxter made his two-cycle debut in the Montreal Cup season finale last fall in Mont-Tremblant with a Rotax Max powerplant, but he drove in Miami like he’s been there many times before, on a temporary circuit no less. While he was in the middle portion of the grid, Baxter kept his PSL Karting prepared BirelART kart out of the barriers and spent the entire weekend learning, competing and passing on a track that punished mistakes. By no means did he look like he was driving at massively increased speeds for only the second time in his life. This week Baxter will be back in Florida to compete in the third and final round of the Florida Winter Tour and he will be back in Briggs Junior at Ocala Gran Prix, a short and racy race track in North Florida. With the winter months nearly over, Baxter is using this opportunity to stay sharp and work on his skill set in anticipation of the 2019 Canadian karting season, in which he will be a very busy karter. 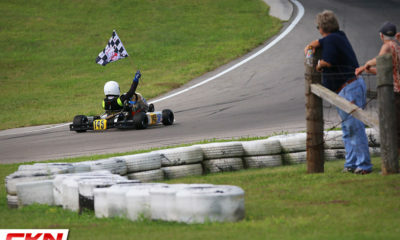 He will once again compete at his home kart club, East Coast Karting in Moncton, New Brunswick, along with a full season of out-of-province races. 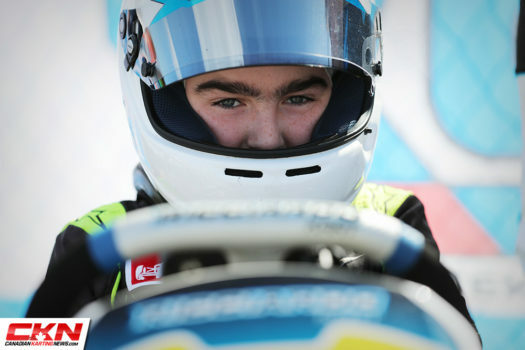 In Ontario he will keep his focus on his Briggs kart, moving up to Briggs Junior, while in Quebec he will compete in Rotax Max Junior and Briggs Junior. 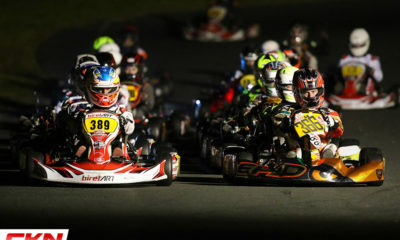 It will all lead up to the ASN Canadian Karting Championships, held at Mosport Kartways in Ontario where he has his eyes on a third straight Canadian title. He will once again team up with Gerald Caseley Racing with support from PSL Karting at select events. In our latest edition of CKN Chatter, we tracked down Callum to ask a few questions about his Rok Cup debut, his 2019 season and the support he has received from PSL Karting. After racing Briggs at the first round of the FWT, what motivated you to come back and race the Rok Junior for the first time in round 2? Callum Baxter: I had so much fun racing Briggs at the first FWT race in January that I wanted to come back for the second race in February. After all, I have no other racing in the winter and I miss it. But, I knew there was no Briggs in the second round. 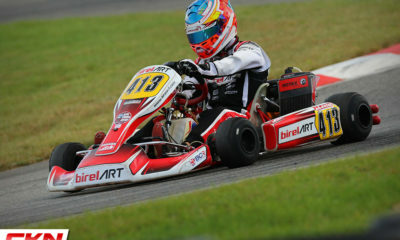 When I watched Rok Junior the first round it looked like fun with all the karts and the fast speed. I wanted to do that. So I asked my Dad if I could go back and race Rok, and I am glad he said yes. Describe your feelings in Miami at FWT2. How comfortable were you in the Rok? How was the speed adjustment after previously racing a Briggs? Callum Baxter: There is a big difference between driving Briggs and driving ROK. The first couple sessions in the Rok I had to get used to it but I got more comfortable as the day went on. I enjoyed it more than Briggs because of all the karts and it was way faster. The Rok is faster and more tiring to drive than Briggs. I like racing both. What are your plans for the remainder of 2019? Will you be racing Briggs, Rok, Rotax? Callum Baxter: In Ontario, I will be racing Briggs Junior for CRFKC and some club races there. I will race Briggs and Moncton and both Rotax and Briggs in Coupe de Montreal in Quebec. I plan to race Rotax at the Canadian Open this year as well and of course, the Canadian Championships at Mosport in Briggs Junior. Looking at the Canadian Championships this summer, you have a chance to win three titles in a row. 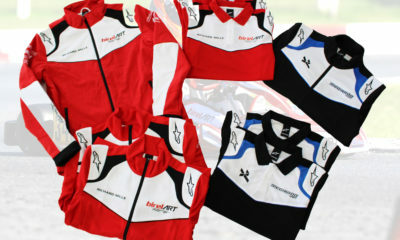 What would you prefer more, the Briggs Junior title or the Rok Junior title? Callum Baxter: I would probably prefer to win the Briggs Junior title because it would be cool to have won the Briggs Cadet Championship, moved up and won the Briggs Junior Lite Championship and then move up again to Briggs Junior and win that. 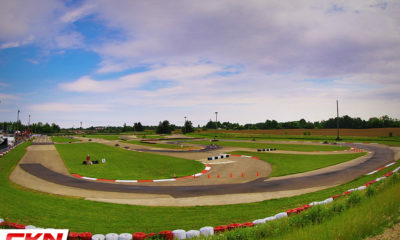 Also, there is a lot more Briggs Juniors at the Canadian Karting Championship usually so that would be challenging and fun. Rok Junior would be awesome too, maybe in time, I can win both. Finally, what can you say about the support you’ve received from PSL Karting? Callum Baxter: The support from PSL Karting is amazing because I would not be able to do a lot of the races that I do if they didn’t let me under their tent and supply parts. Kevin King was awesome to help me learn the Rok and just coach me that whole weekend. CKN will be trackside at Ocala Gran Prix this week for the final stop of the 2019 Florida Winter Tour. Tune in often for Live Timing, daily reports and our fan-favourite photo galleries.